Lil Pros BMX Tour goes International! See you soon in the UK! The Tour is headed to the United Kingdom! 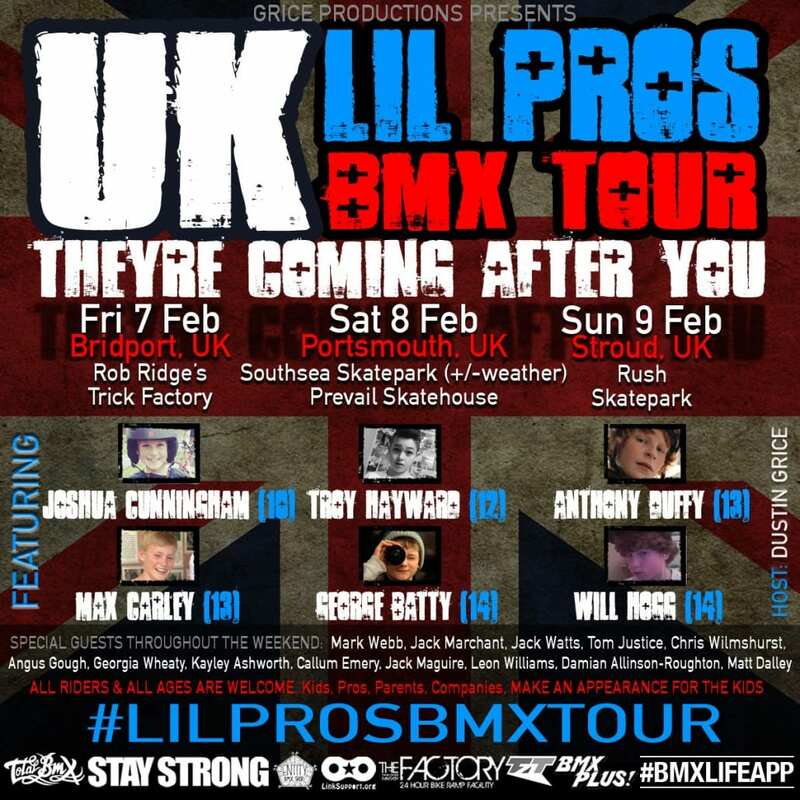 https://lilprostour.com/wp-content/uploads/sites/23/2014/01/lil-pros-uk-bmx-tour.jpg 1200 1200 Dustin Grice http://lilprostour.com/wp-content/uploads/sites/23/2015/06/lil-pros-logo-web.png Dustin Grice2014-01-01 19:25:502015-03-24 04:35:04Lil Pros BMX Tour goes International! See you soon in the UK!